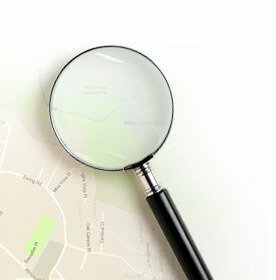 How much are Victorian Conservatory Prices? It’s generally accepted that, in the UK housing market, building a conservatory extension onto your home can add actual monetary re-sale value. The estimated range of increase in property price is somewhere between 5% to 10%. That means improving your home with a conservatory is an investment that pays real dividends, not only in terms of extra space, but also in “hard cash”. 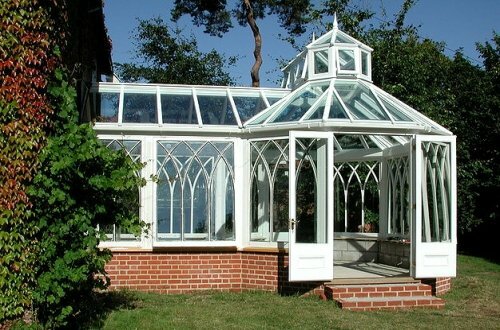 One of the popular styles is the Victorian conservatory, as it has a unique 3 or 5 faceted appearance with nice high decorative roof lines that many homeowners find attractive. As one of the period conservatory designs such as Edwardian or Georgian, the Victorian is not the cheapest type of conservatory in the market. 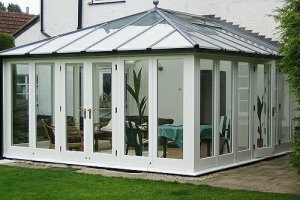 However, in terms of prices, you should be able to find a decent sized 3m x 3m Victorian conservatory for under £10,000. That pricing is very subjective, because the final cost of a Victorian conservatory is so dependent on a combination of many factors apart from just size. For example, a design with 5 facets will cost more than a design with 3 facets, even if they are the same overall size, simply due to the extra work involved in having the extra 2 facets. So, to provide you with a guide on how much Victorian conservatories cost to build, we have looked at what things affect the pricing and also produced a table that will give you an idea of the likely supply only or fully installed cost of a new Victorian conservatory. Let’s be straightforward here, the more “cost cutting” you do, the more likely you are to end up “corner cutting”. Corner cutting is the sure-fire way to end up with a poorly built, problematic conservatory that gives you years of trouble instead of years of enjoyment. Foundations – always have a foundation that is more than strong enough to bear the load of the room. Trench foundations, pre-fabricated steel bases and solid concrete raft foundations are all good. Primary construction material – Timber, aluminium and uPVC are all priced differently. Cheap softwood timbers that are not properly treated should be avoided. Re-cycled uPVC used in frames can be very acceptable, but you need to be circumspect about quality, as some recycled uPVC’s may have colour or discolouring issues. Engineered wood is a very good option for timber conservatories. This also extends to the type of material you want to use for the roof. It’s well known that Poly-carbonate offers a lightweight and cost effective roofing material, but it does have some drawbacks related to heat & cold. Fully double glazed conservatory roofs these days have some great options to effectively deal with glare, dirt and heat gain /loss. Solid tiled roofing is becoming very popular, but does come at a higher cost. 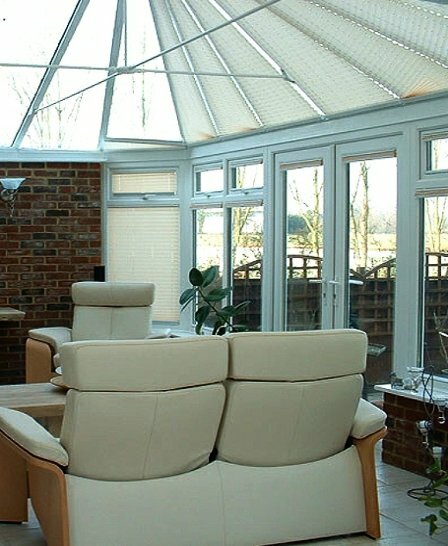 Glazing – as a large glass room, your conservatory can build up heat to intolerable levels very quickly if you use single glazing, or poor quality double glazing for the sides and roof. WER (Window Energy Rating) labels will guide you to how energy efficient the glazed sections are. However, the better the rating (A++ to G) the more likely the cost is to go up. Brick or Block-work – adding dwarf wall to a Victorian conservatory can be very attractive and is a feature that many owners have utilised. Bear in mind that the extra material and labour will push the relative cost up. 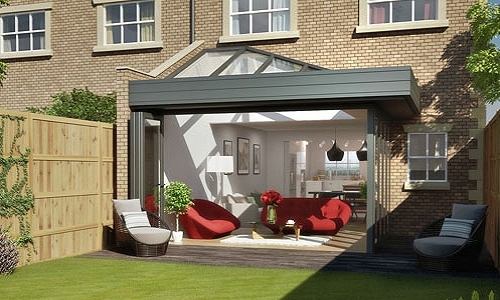 For the same size conservatory, one with dwarf walls will cost more than one without them. Supplier – Virtually every supplier will have a different price and this is why it is important to shop around to compare quotes. 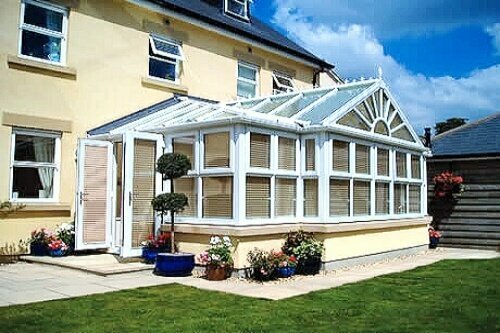 At the very least, you should get 3 or 4 written quotations from different conservatory installers. Those who quote should be members of recognised UK Trade Associations such as GGF / FENSA / CERTASS / DGCOS or their equivalent. The trade associations build on your consumer rights and independently vet all their members for competence. This table of average prices is for guidance, the actual cost of your conservatory will be subject to your chosen design specification and supplier. 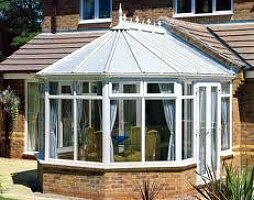 What do supply only Victorian conservatories cost? If you are looking to fit a full glass roof, you should budget for an additional £750 to £1,500 depending on the size of the conservatory being built. 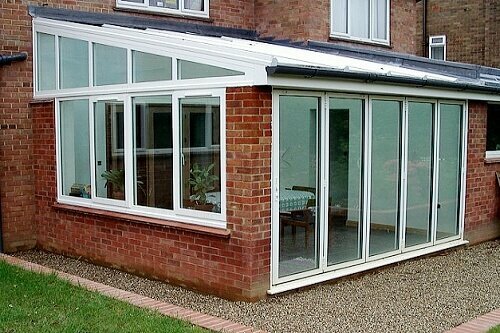 Also, if you are replacing an old conservatory and you don’t need a new base because the existing one is good enough, then you could reduce the cost by around £900 to £1,500.